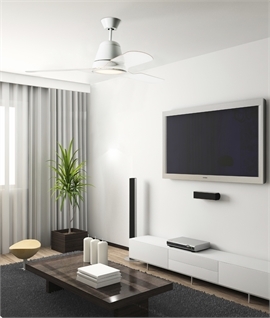 Ideal for many rooms within the home or commercial setting. 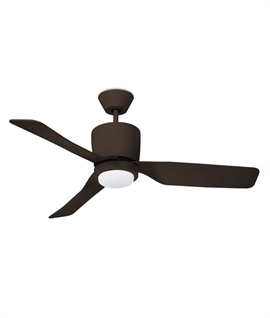 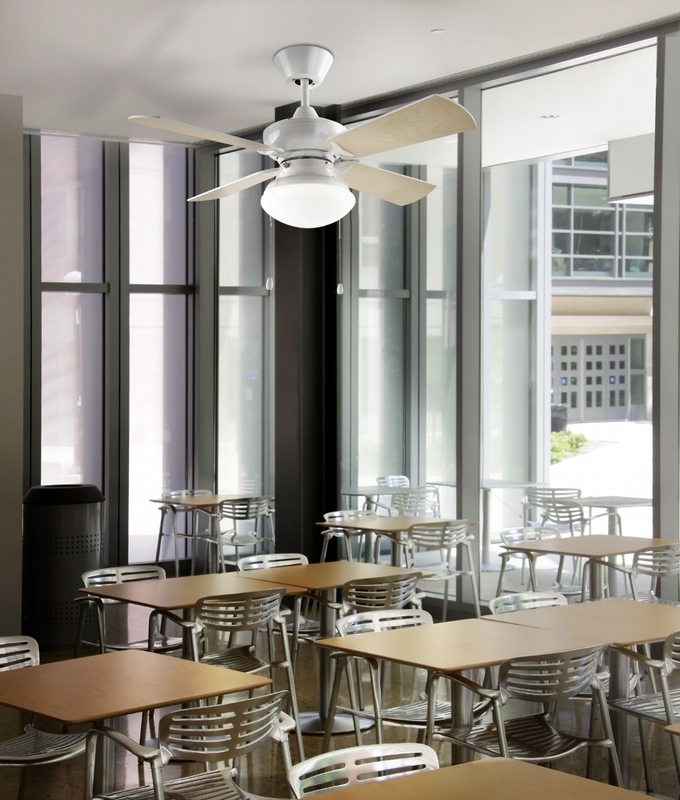 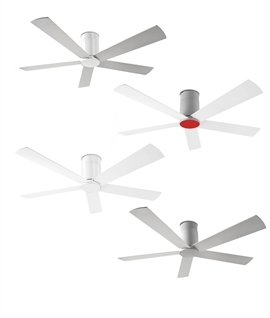 This is a high performance ceiling fan with a built in light with three speed settings - quiet even on the fastest setting. 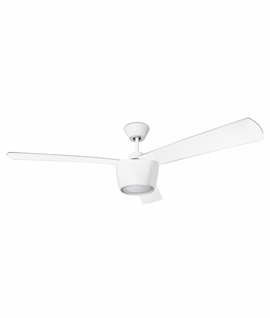 The fan and light can be switched independently so either can be on at any one time and are pull cord operated. 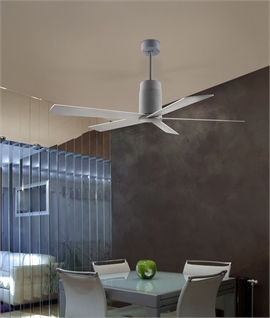 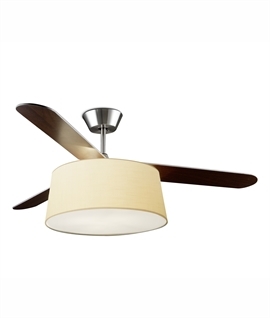 The blades on the fan are reversible which means you can choose to have them white or a pale wood effect. 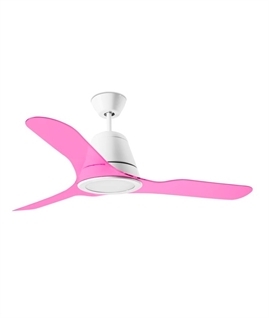 A reverse mechanism to cool in warmer months and bring down hot air in colder months makes this fan perfect for all weathers. 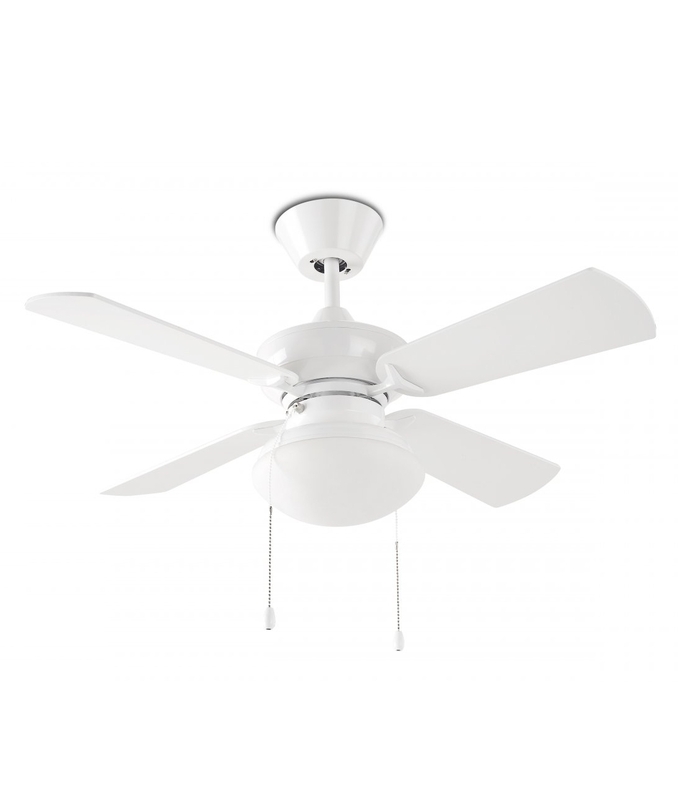 Please note the fan body holds a switch to reverse the mechanism. 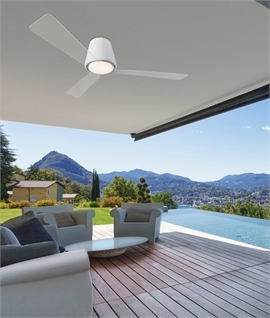 With the ability to tilt 15º at the ceiling rose it is perfect for slopping ceilings or conservatories. 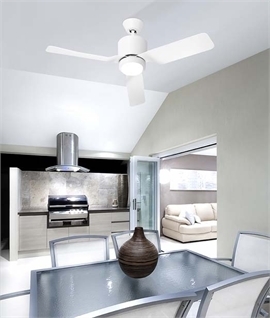 Light fitting in the middle of the fan is covered in white opal glass diffuser with a diameter of 223mm. 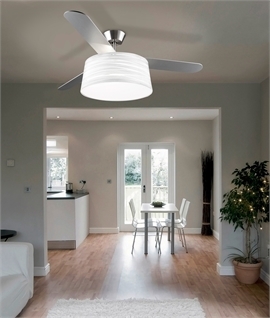 With a diameter of 914mm this fan will be a great addition to rooms up to 15m² in size. 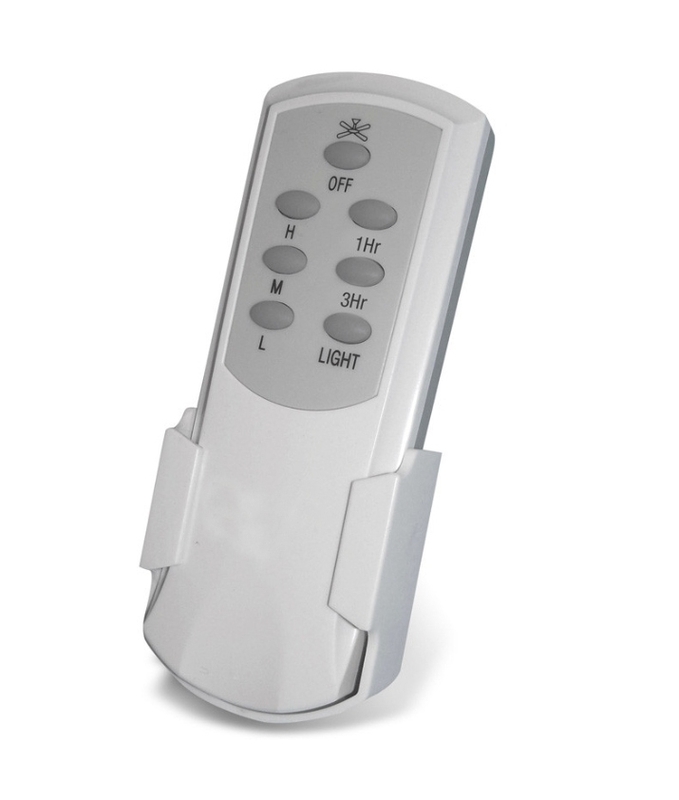 An optional remote controller can be purchased for remote operation, see price below. 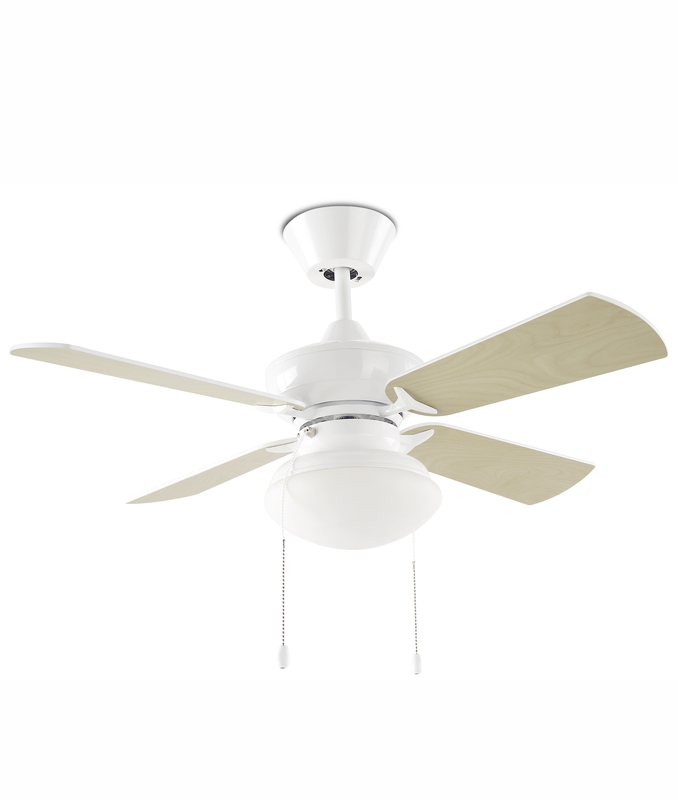 Constructed of plywood the blades are both durable and strong. 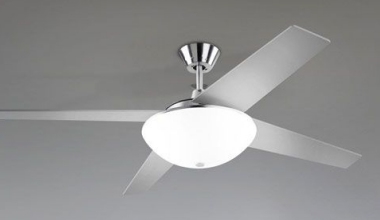 The fan motor comes with a 10 year guarantee. 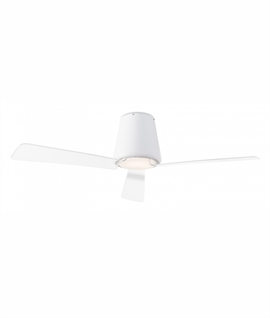 Designed for use with 2 x E27 Base mains lamps up to 20 watts.